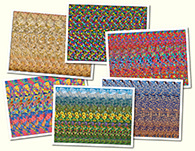 Sci-Tech Stereogram Gallery : Red planet : Stereogram Images, Games, Video and Software. All Free! 1. is this Curiosity on the surface of Mars? 4. Yes it is Curiousity on Mars and the background is Curiosity pics of Mars. 5. i had much more roblem with the hidden quote than the pictures! 6. I think I got the hidden code! 28. 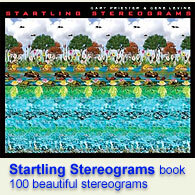 This is probably the best Autostereogram ever!!! 30. So cool especially the layers of mountains in the background. So 3-D!